If you have been reading this blog since I began 18 months ago, you’ll recall that a meal at the Eagle Tavern at Greenfield Village in Dearborn, Michigan was the catalyst for my journey into historic food. That day, I ordered pork sausage patties. They were spicy, thick, and delicious. I love Bob Evans sausage but these vintage babies made commercial sausages look like clay cakes. So when I stumbled across this recipe, I immediately recognized it as an opportunity to recreate that influential meal. 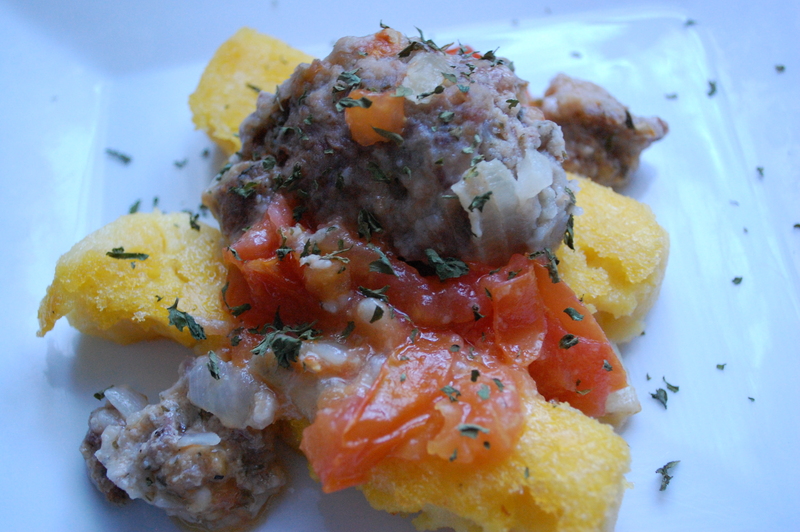 My Eagle Tavern pork sausage was not served over fried mush but this recipe, from Mrs. Wilson’s Cookbook, published in 1920, called for mush and I saw it as a chance to make another staple of the vintage kitchen. Mush is a basic grain dish created thousands of years ago. It requires water, a heat source, and some corn meal. It’s cooked for a long time over a simmering fire. When I was cooking it, I could imagine prehistoric civilizations using this combination as a simple, inexpensive means of sustenance. 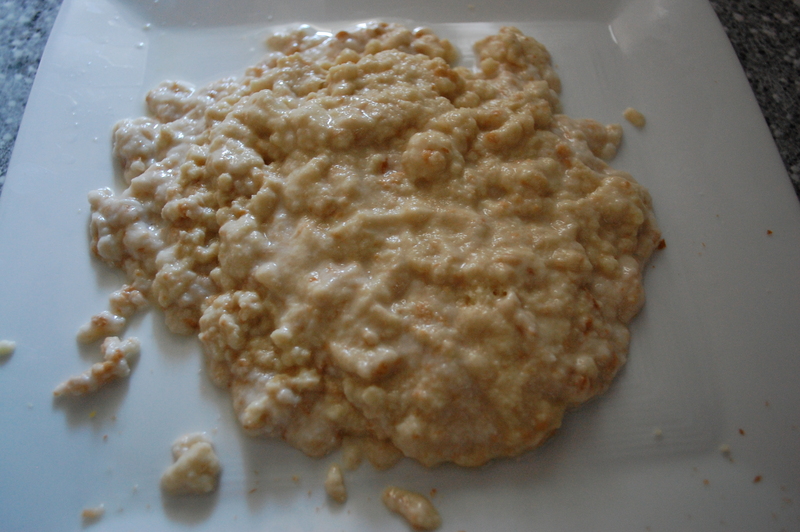 In more modern times (think 1700’s and later), the mush was left to gel after cooking, then sliced, pan fried and served with meat or topped with sugar or maple syrup. 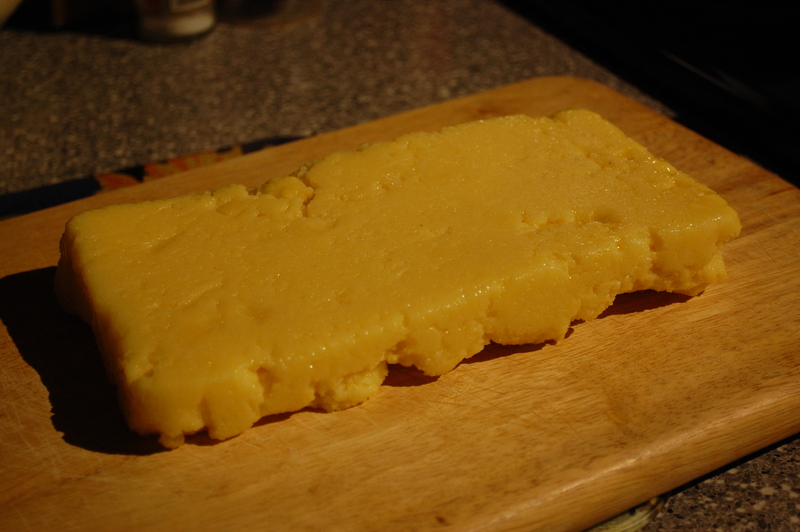 Mush is not a staple of the modern kitchen-in fact, I was the only person in my house who had eaten it before. But everyone should try it at least once and you’ll see just how easy it is to make. I got this recipe from The Century Cookbook, published in 1901. One other note-the sausage portion of this recipe calls for a bread preparation that I still, frankly, do not understand. I did it just to be authentic. 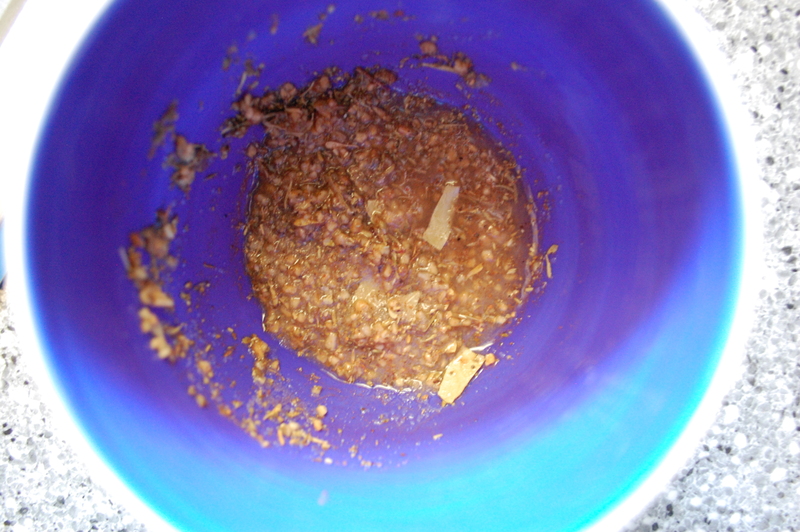 I think you can just add bread crumbs instead of going through the trouble of drying out and then re-soaking bread. I often think that some of those vintage cooks did a lot of unnecessary work… and this is one good example. 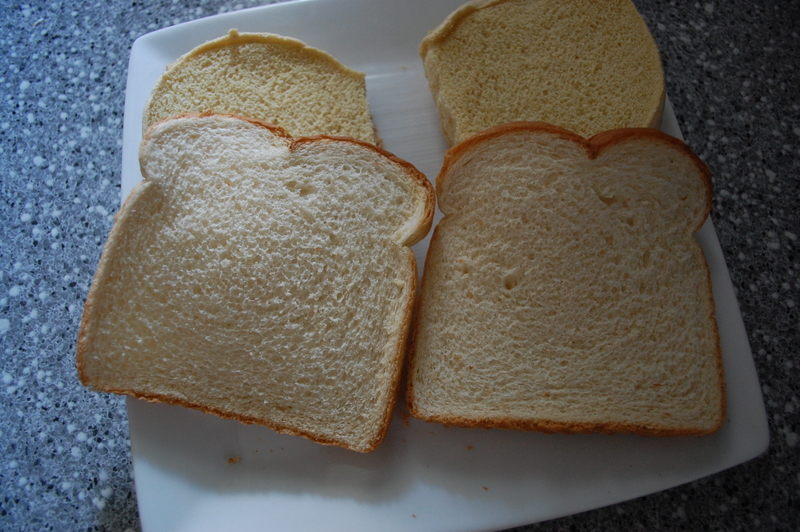 If you’re using bread or buns, set them on a plate the night before and allow them to dry out and get stale. I used bread and an old hamburger bun that was getting hard anyway. My bread left out to dry. The mush should also be made the day before. In a saucepan, boil the four cups of tap water. 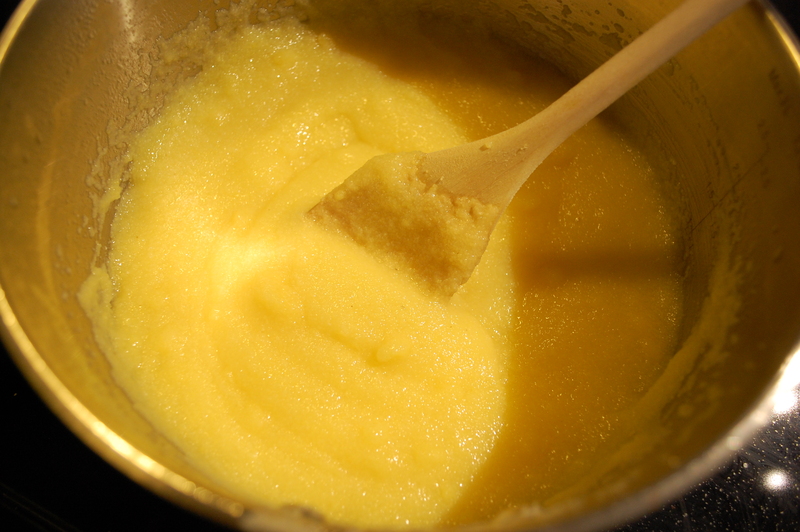 Add the corn meal, stirring constantly. 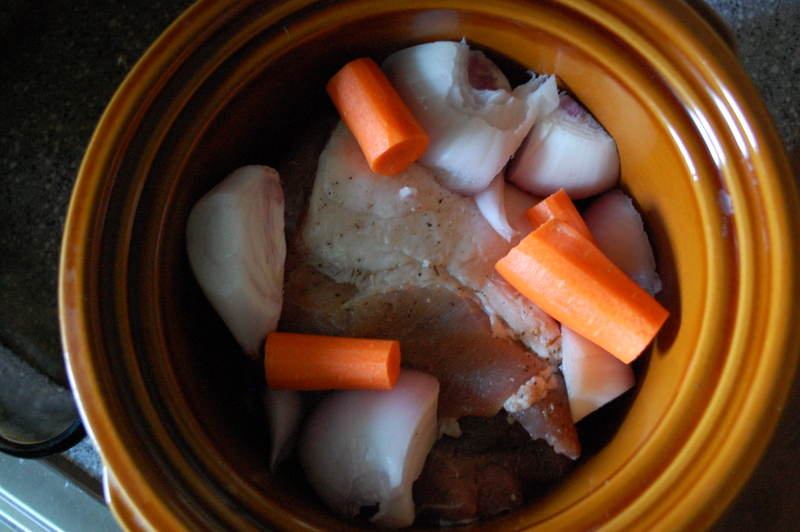 Cover, reduce heat to low and cook for one hour stirring frequently to prevent burning. 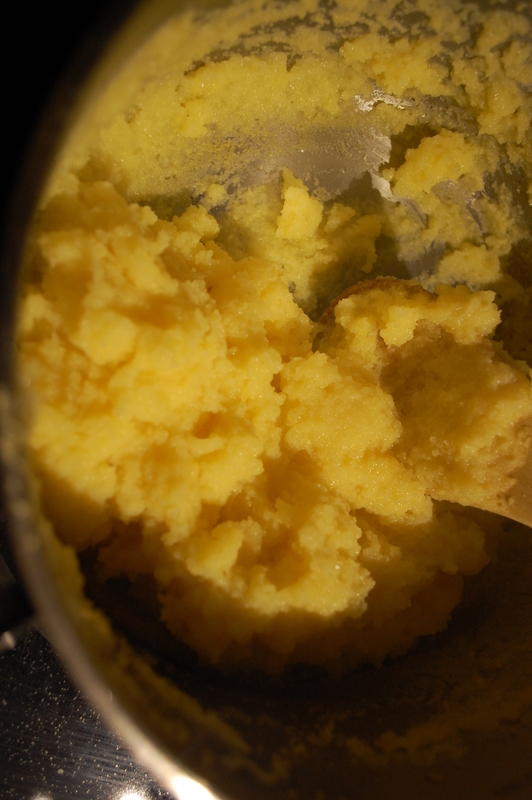 The cornmeal mush toward the beginning of the cooking process..
And toward the end. See how it’s gumming up? Transfer mush to a bread pan that’s been sprayed with cooking spray. Let it cool, then cover and allow it to sit overnight. When you wake up the next morning, it will have gelled. 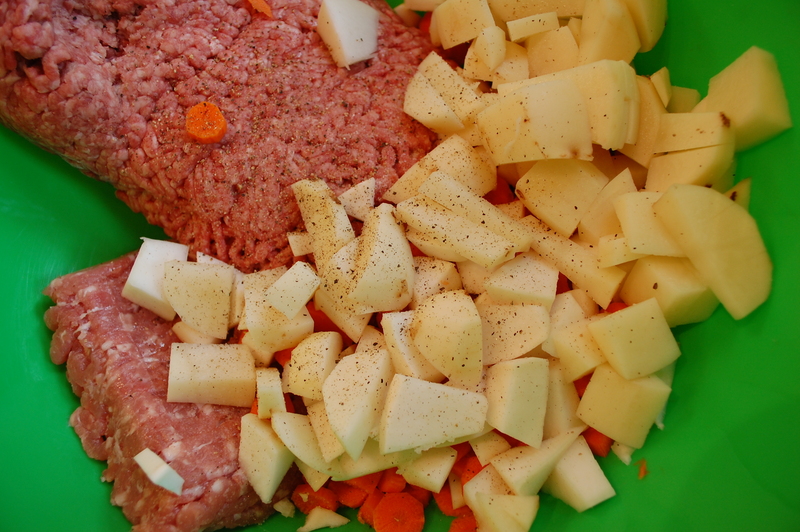 Turn it onto a cutting board and slice into pieces, ½ to one inch thick. This is after I left it sit covered overnight. 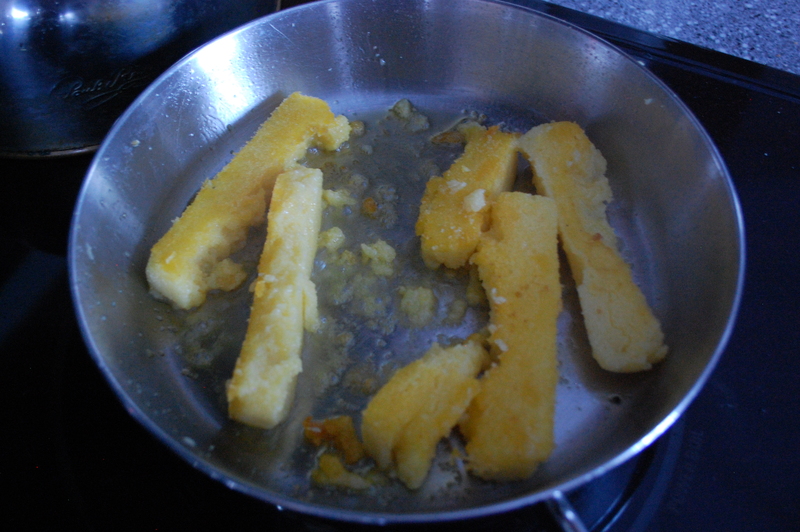 Fry them in butter until brown, about five minutes on each side. Set aside. 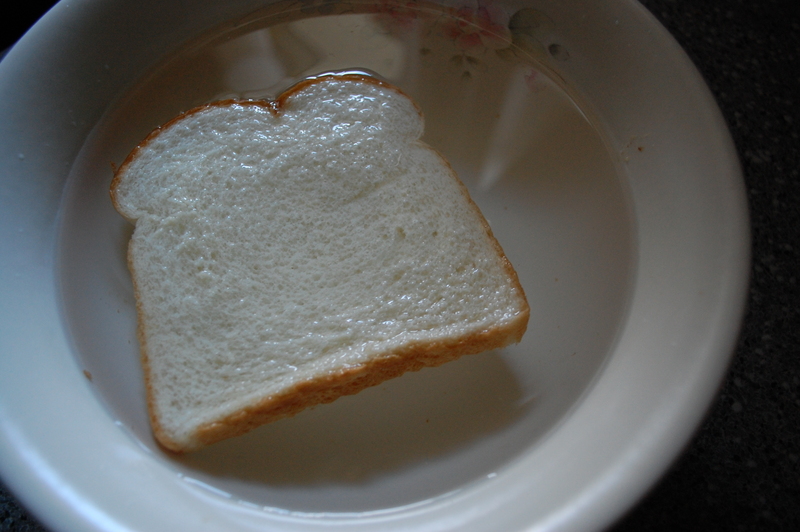 Soak the stale bread in a bowl of cold water, one slice at a time until soft. Press the water out of the bread. Yep, that’s me, squeezing water out of the bread. Why are we doing this again? Run the bread through a sieve to remove lumps and set aside. Maybe it makes the sausage patty moist but in this state, the bread does not look very appetizing. 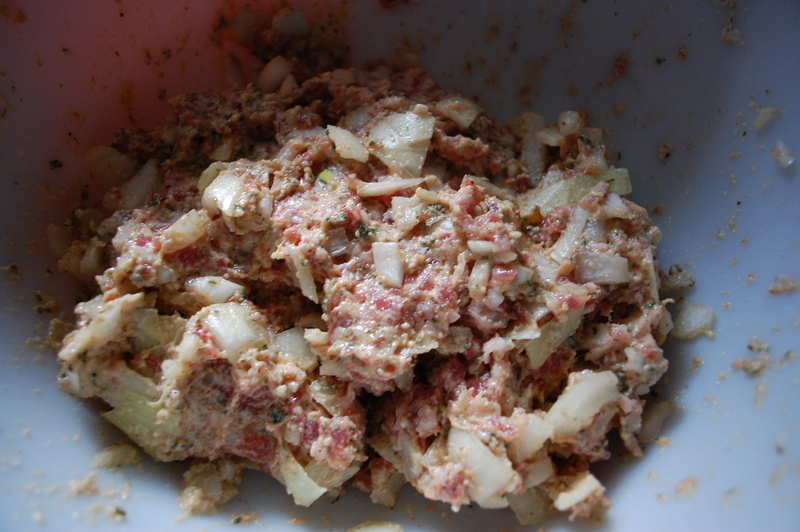 Mix the pork, onions, bread, salt, paprika and parsley in a bowl and form into round patties. Warm a skillet sprayed with cooking spray over medium heat. 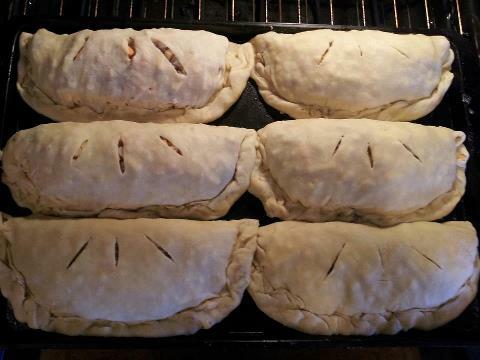 Roll the sausage patties in flour and brown, about 5 minutes on each side. 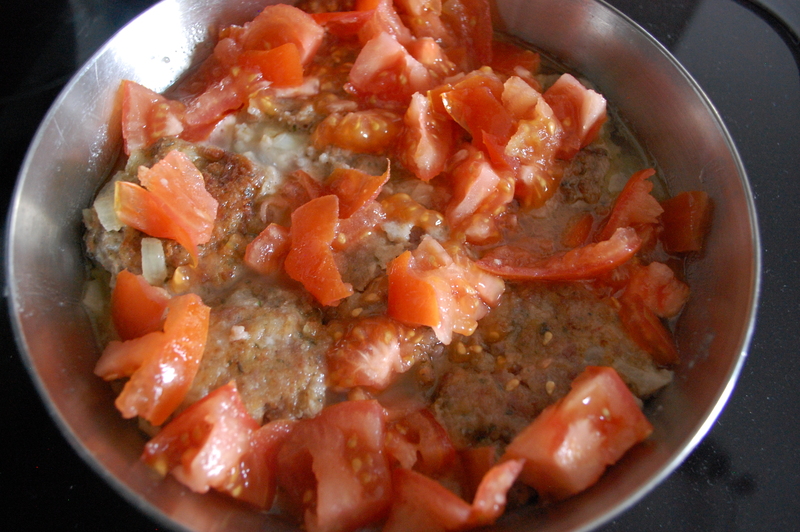 Add ½ cup of boiling water and the tomatoes to the skillet. 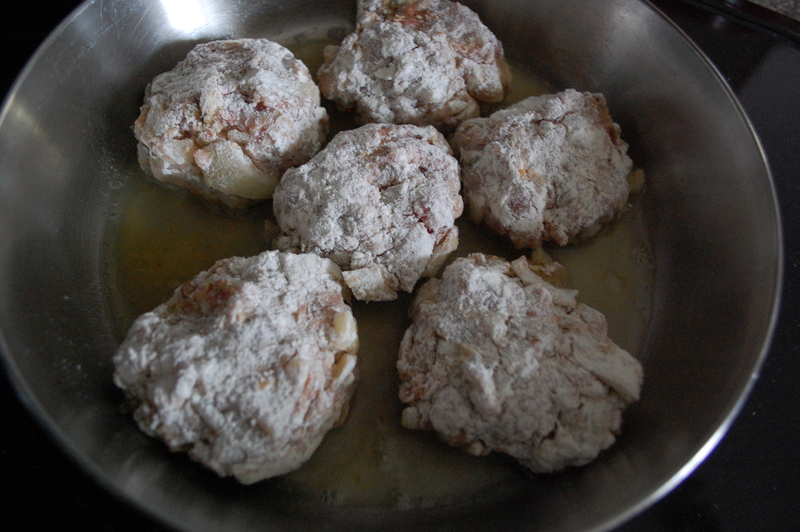 Cover and let simmer for about a half an hour, until patties are no longer pink. The cooking time will depend on how thick you’ve made your patties. To serve, place a few slices of fried mush on your plate and place a pattie on top, then spoon some of the tomato sauce over the whole thing. MMMM it was very delicious! It’s fitting that I live in Cincinnati, a town which once went by the nickname “Porkopolis.” I like me some pork! And this city once was known as the chief pork processing center of the United States, thanks to our location along the Ohio River and our proximity to good farmland. 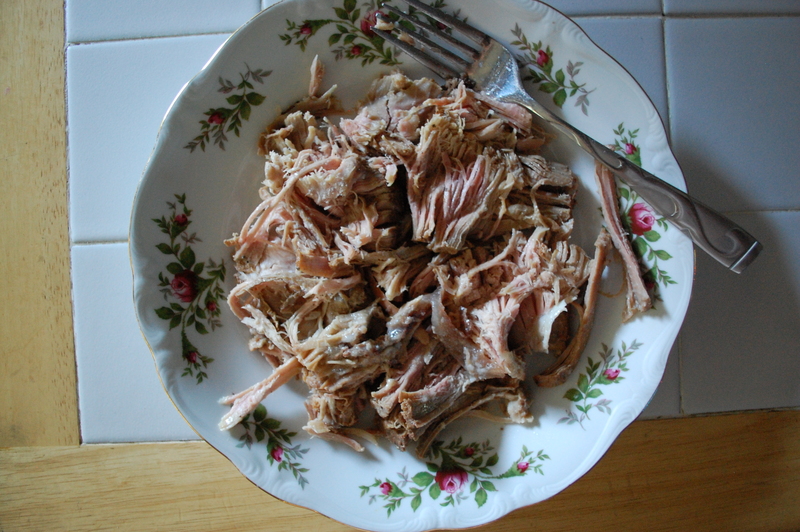 There are a number of ways to prepare “the other white meat” but this recipe is among my favorites because… it’s old. And English. According to Time Travel Britain.com, the first recorded recipe for a pork pie was in 1390, made for the court of King Richard II. Most pork pies in Britain contain only pork and are modeled on the famous pork pies of Melton Mowbray. Melton Mowbray was the first town to commercially produce pork pies in England. But an older version of the pork pie originating from Cheshire consists of layers of apple and pork, sweetened with sugar. And that’s the kind I like! 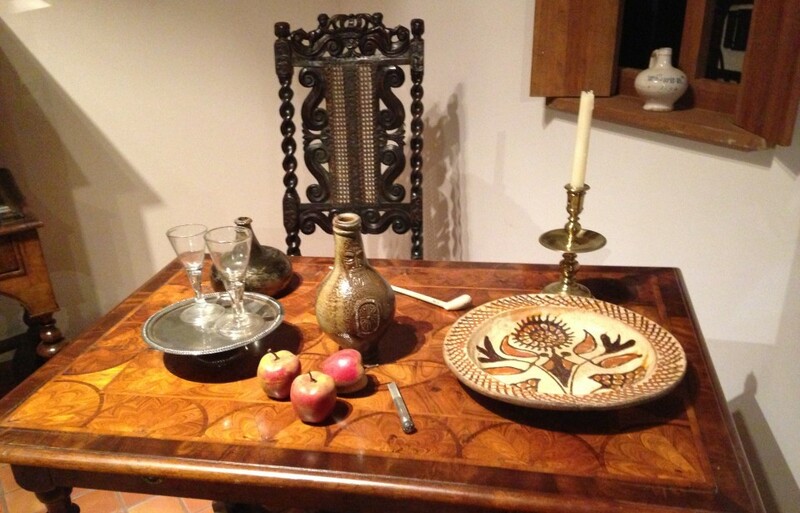 This recipe comes from “The Art of Cookery Made Plain and Easy” by Hannah Glass, published in 1747. Here is her version. First, a few points of clarification. Pippins are a variety of apple. I’m not a big fan of being specific about such things unless it is necessary, and for the most part, it is not in this case. Just use whatever cut of pork and whatever apple you have in the house. 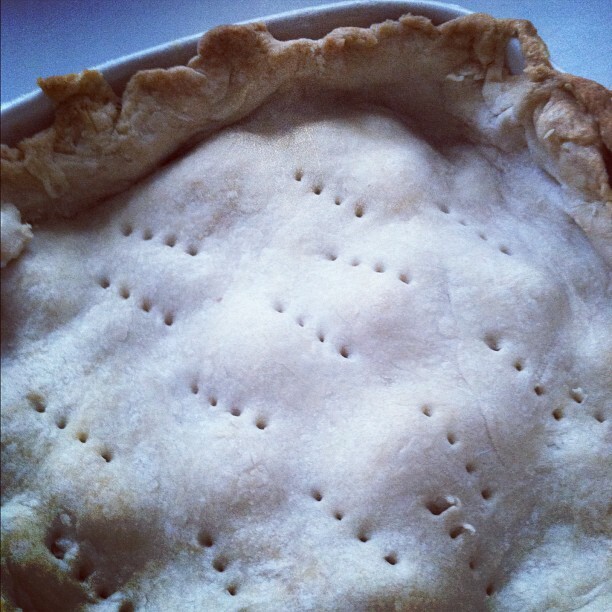 I’ve also done this pie with pears-or a combination of apples and pears. 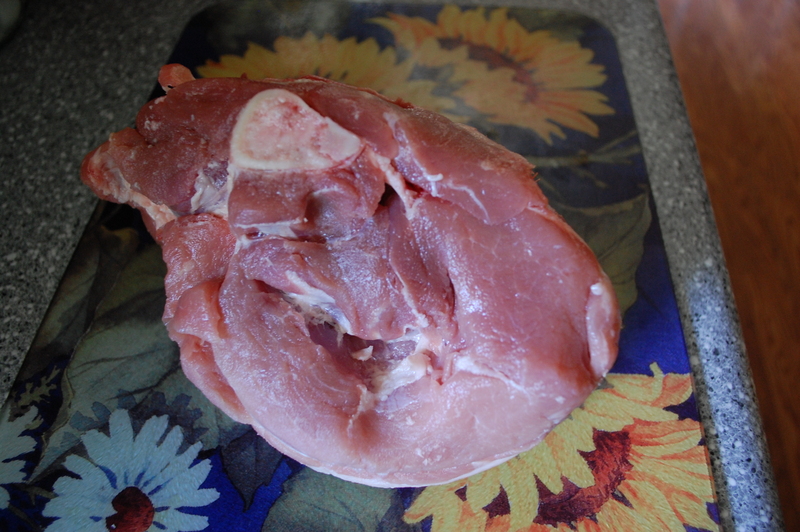 Place cut up pork in a bowl. 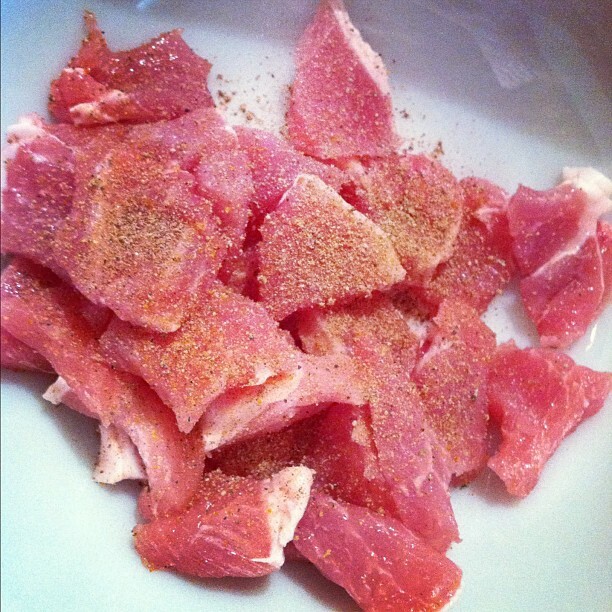 Sprinkle pepper, salt and nutmeg over meat and mix with wooden spoon, until the spices cover all the meat. 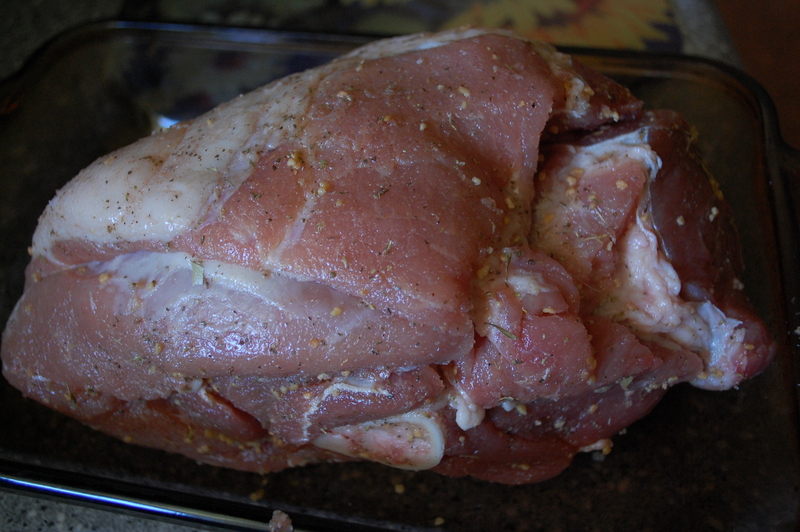 Turn pork into greased pie dish. Cover with the apples. 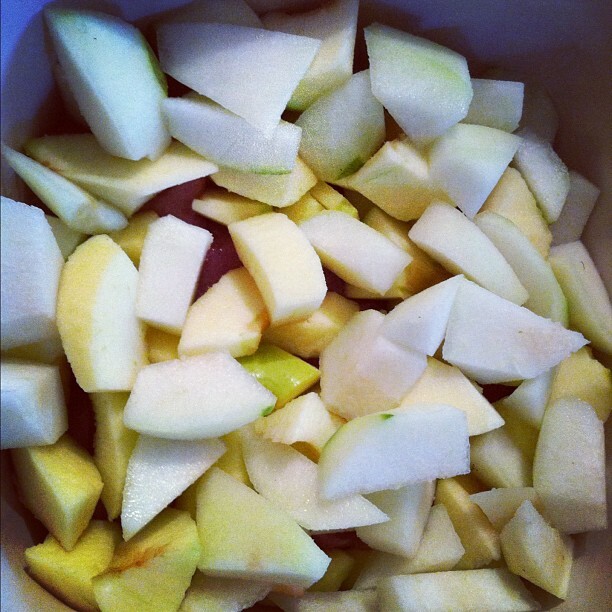 In a ramekin, mix the cinnamon and sugar and sprinkle over the apples. Add the wine (if you don’t have wine, you can use apple juice). Dot the top with butter. 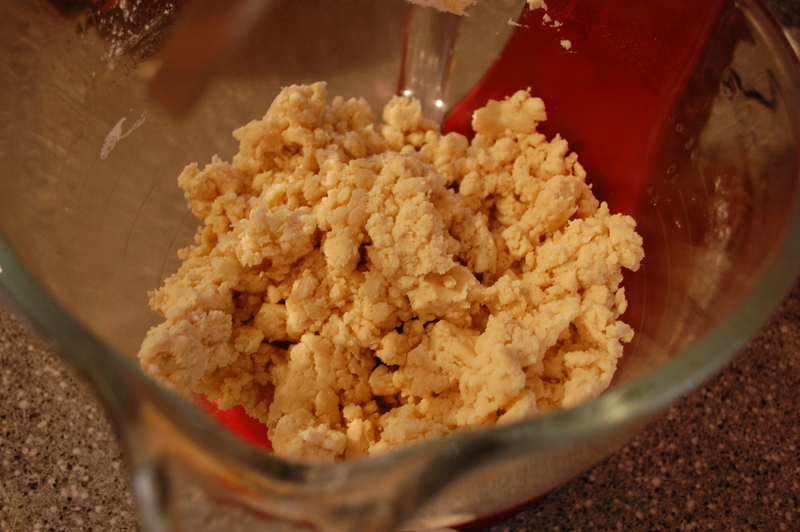 To make an easy pie crust, cut 3 tablespoons shortening into one cup of flour until it looks crumbly. 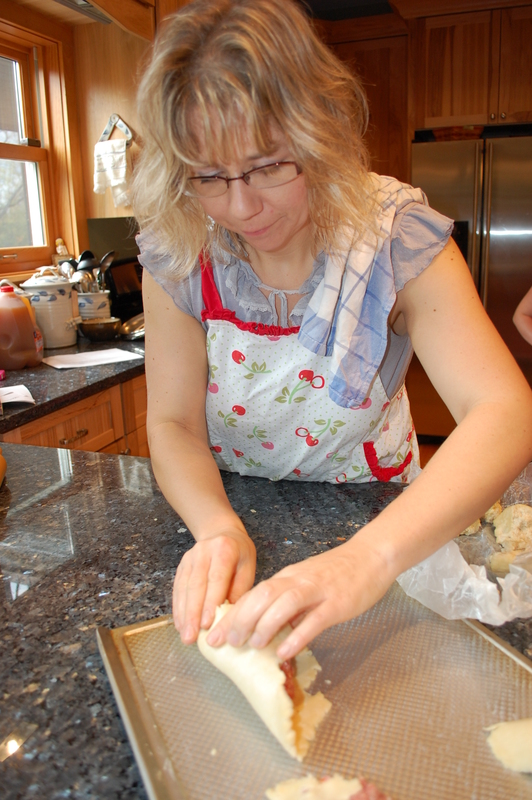 Add 6 tablespoons cold water and mix, then turn out onto floured surface and roll. 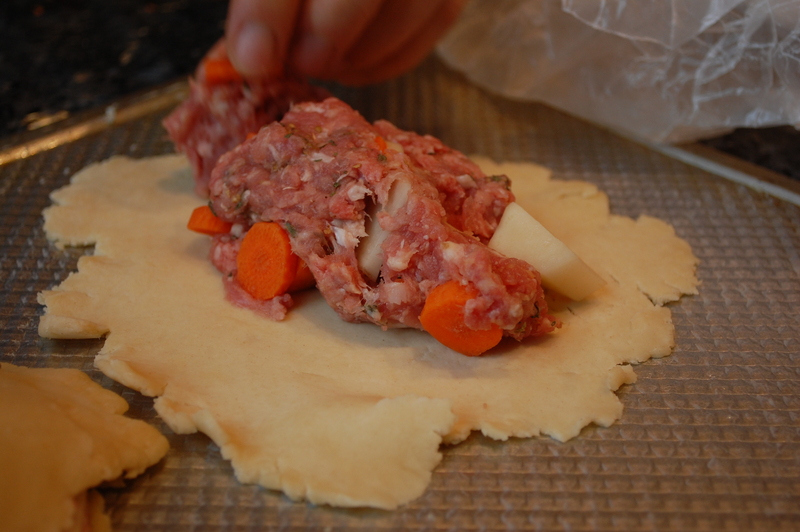 Place pie crust over top of mixture. Poke holes with fork to ventilate. Put the pie onto a pizza sheet to catch any liquid that might bubble over and bake in a 375 degree oven for 50 minutes or until the crust is golden brown and the liquid is bubbly. Let sit 5-10 minutes before cutting.